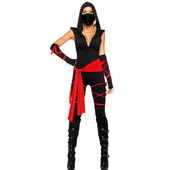 Shadow Ninja Costume includes a red and black dress with red sash. 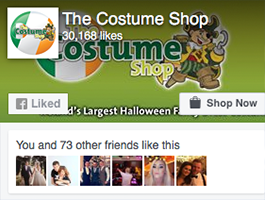 Costume also includes a black face mask. To complete the look a pair arm warmers and thigh high stockings are also included. Ninja weapons may be purchased separately.